If you're anywhere near the DC area, it's a known fact. You resent Mother Nature. Yes, Easter is less than a week away but no, it doesn't feel like spring. 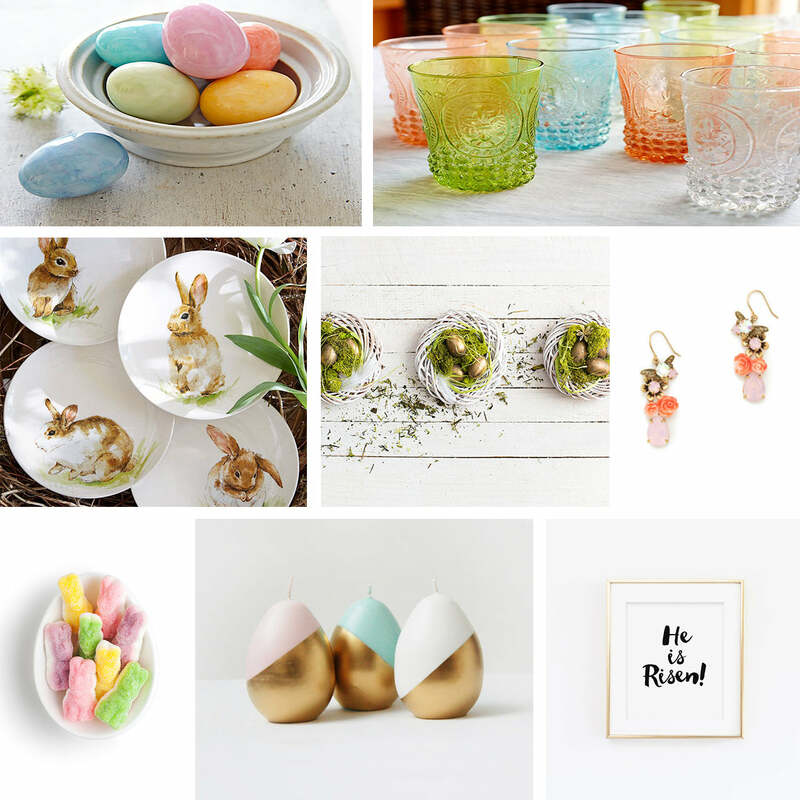 I had a different topic planned for this morning but on a whim, I've decided to get a little crazy and round up these Easter finds instead. Even though it's still cold and dreary outside, these gorgeous pastels combined with the hopeful, uplifting message of Easter have brightened my day. Invest in this set of 6 alabaster eggs and look forward to putting them on display year after year. Great for centerpieces, Easter baskets, place settings or a simple springtime gift. Handcrafted in Italy. This soft color palette combined with the Victorian-style tumblers are the perfect way to brighten up your Easter table. P.s. I'd definitely use these year-round! An adorable way to set the table for spring! You can easily add pastel accents to the tablescape to accompany these bunny plates or keep it timeless and neutral. These white, gold and green nest egg centerpieces are modern and fresh with a touch of whimsy. Use as a centerpiece for a smaller table or use multiple at a time for a larger table. Can also see them looking fantastic on a mantle, coffee table or especially a gold bar cart! These sweet JCrew earrings are colorful, feminine and the perfect accessory to your Easter attire. Sugarfina has introduced these Fluffy Bunny Gummies for Easter and they are absolutely adorable. They come in a small cube size which can easily be added to an Easter basket or nice enough to gift on its own. These candles are a modern, sophisticated alternative to traditional Easter egg decor. Great to keep for your own tablescape but also an amazing hostess gift. The message of Easter in a crisp, modern, elegant print. I'm buying this today! Does you wedding palette include pastels, too? Let's chat about how we can incorporate pastels into wedding welcome gifts your guests will LOVE.